On January 10, 1957, the US Navy announced the successful first flight of the one-man collapsible Rotorcycle, developed for the US Marine Corps by Hiller Helicopters of Palo Alto, California. Hiller was one of two companies selected during 1954 to design and build a one-man helicopter but the idea was not wholly successful and it failed to achieve full production status after initial flight testing was completed by July 1957. 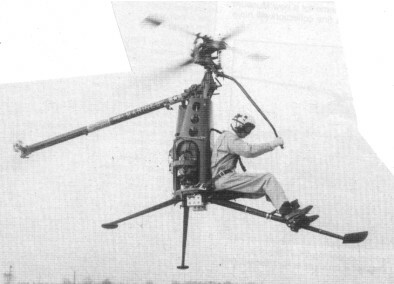 Designated XROE-1, this was a unique one-man helicopter which could fold into a small package for easy transportation or parachute delivery. Weighing less than 250 lbs it was powered by a Nelson four-cylinder opposed, two-cycle, air-cooled petrol engine manufactured by Barmotive Products Inc A single rotor, eighteen feet in diameter and positioned above the pilot's head, provided lift, with a small tail rotor located in a tubular boom compensating for torque. The entire helicopter was held together by quick release pins and could be assembled by one person. Although not literally a 'strap-on-the-back' machine, the XROE-1 approximated closely to this idea, since the pilot sat on what appeared to be a bicycle seat, with the engine just behind him. The US Marine Corps intended to use the XROE-1 for observation, liaison, small tactical missions, such as escape and evasion, pilot rescue and any other James Bond' type drama. Transmission of the Rotorcycle incorporated a single spiral bevel gear set and an over-running clutch while the fuel system was of the gravity-feed type. 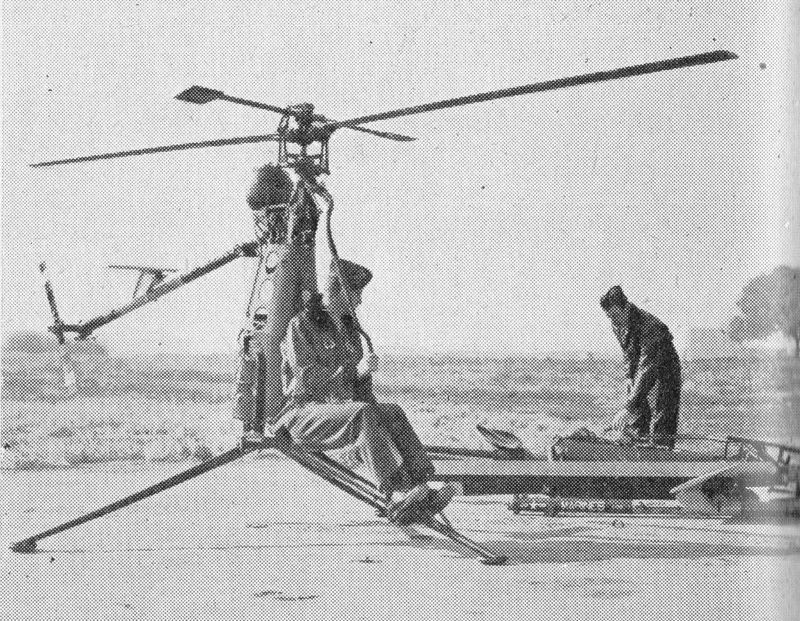 Official Marine Corps specification data indicated that the XROE-1 could be folded or assembled in the field in less than five minutes and, for aerial drops to downed pilots or stranded troops, the folded Rotorcycle fitted into a streamlined container suitable for external transportation on a fixed-wing aircraft. It was expected to enter service by Septembr 1959. During May 1958, while on a European sales tour, the Hiller XROE-1 Rotorcycle was demonstrated at Elstree aerodrome, Herts. On this occasion, two men assembled the machine in just three minutes, a rather slow time according to the manufacturers who stated that the record stood at one minute fifty seconds. Although based around a Marine Corps specification, the XROE-1 was evaluated by both Germany and Switzerland, the licensee in Europe being Helicop-Air of Paris and the estimated cost was $10,000 for production machines. In November 1958, a contract was signed for a batch of ten Rotorcycles to be built by Saunders Roe at its Eastleigh, Southampton factory, on the basis that it would cost less to build a small batch of XROE-1s in the United Kingdom than in the USA. 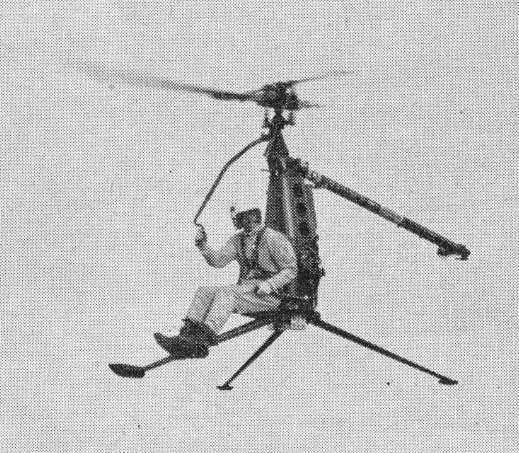 Helicop-Air of Paris, Hiller's agent in Europe, was responsible for handling the contract which was quite unique. Using materials from the USA, Saunders Roe built the jigs and tools, manufactured the gearing, transmission components and the structure. All proprietary items, including the engine, electrics, main rotor blades and instruments, were also supplied from the USA. The Rotorcycles were completed in accordance with Hiller drawings. 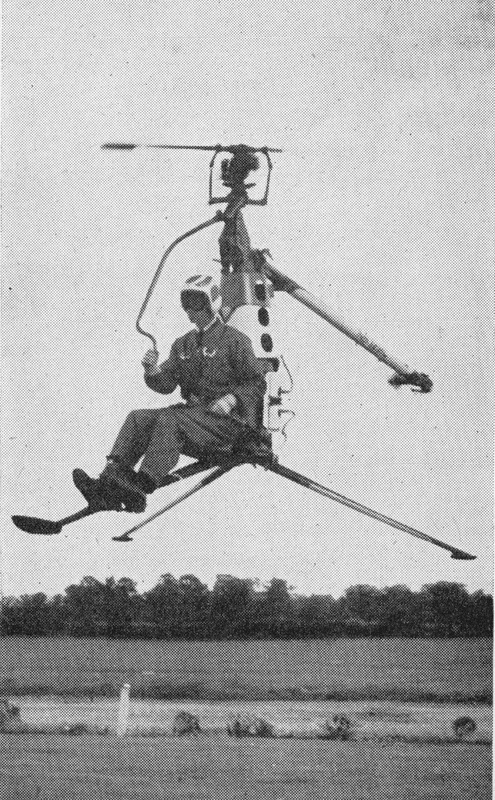 The control technique was known as the Hiller Rotormatic system while, in place of a landing gear, the Rotorcycle was supported on three tapered aluminium alloy spring tubes. The fate of the majority of the XROE-1 Rotorcycles after leaving the Eastleigh factory of Saunders Roe is not known, but the type was evaluated for the Marine Corps at the Naval Air Test Centre and the published performance figures are based on this evaluation. Three Rotorcycles - all designated YROE-1 - were also assessed by NASA at their Ames facility at Moffett Field, California, YROE-1s '4020' '4021' and '4024' being delivered there on November 16, 1962. The serial numbers applied to the YROE-1s tonsisted of four digits only, this system not conforming to the more familiar BuNo's as used by the Bureau of Aeronautics to identify US Navy and US Marine Corps aircraft and helicopters. Two examples of the Hiller YROE-1 Rotorcycle reside in museums situated within just a few miles of each other. The first specimen - '4020' - is in a private museum owned by James S Ricklefs of Rick Helicopters Inc. of San Carlos, California. This one has an intact manufacturer's plate which revealed the following interesting information: Manufacturer's model 1033: Customers model YROE4: Serial No 6: Customer's serial No 4020: Contract No 59-6022: Engine type YO-65-2. Accepted 21 June 1960. Manufactured by Saunders Roe Lid. England under agreement from International Engineering Research & Development, Luxembourg under licence from Hiller Aircraft Corporation, USA. Restored by John Trome 1980. The second YROE-1, 14021', was discovered in The Flying Lady Museum which is owned by Irv and Jan Perch and located at Morgan Hill, near South County Airport, some 65 miles south of San Francisco.